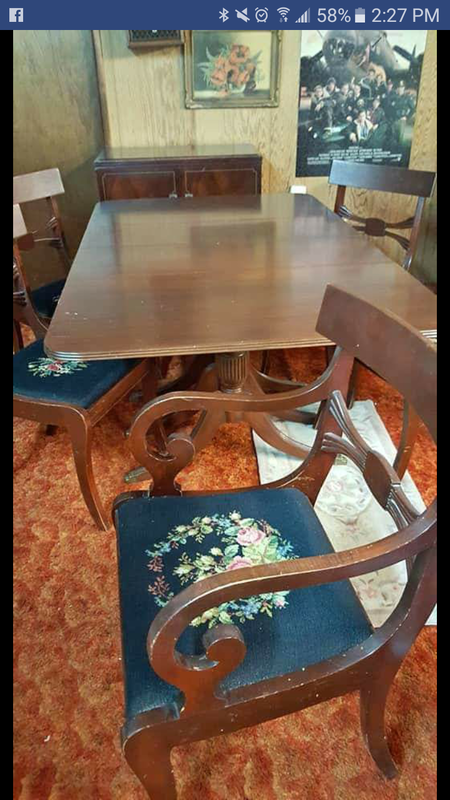 I have a Duncan Phyfe Style drop down table and five chairs. Very nice condition. No major blemishes. Minimal surface scratches. "Carolina Panel Co. Quality Plywood June 7 1950 Lexington N.C." is stamped on the bottom of the table. 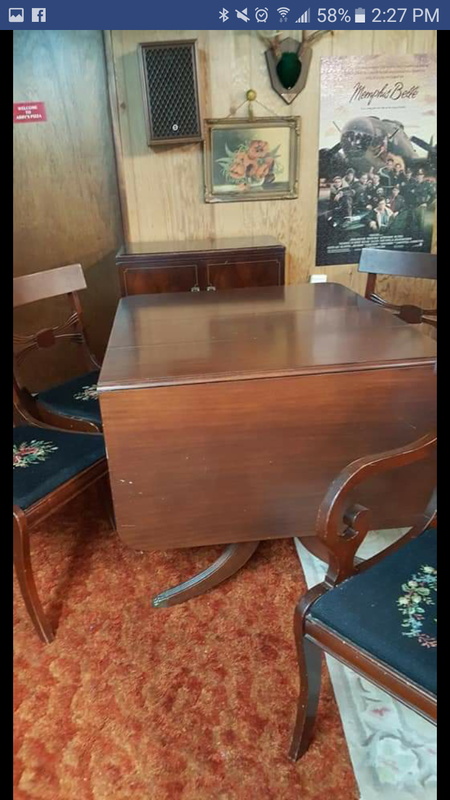 The table has a dark finish, perhaps mahogany? Table can be extended and one leaf added. The table legs have the brass tips. 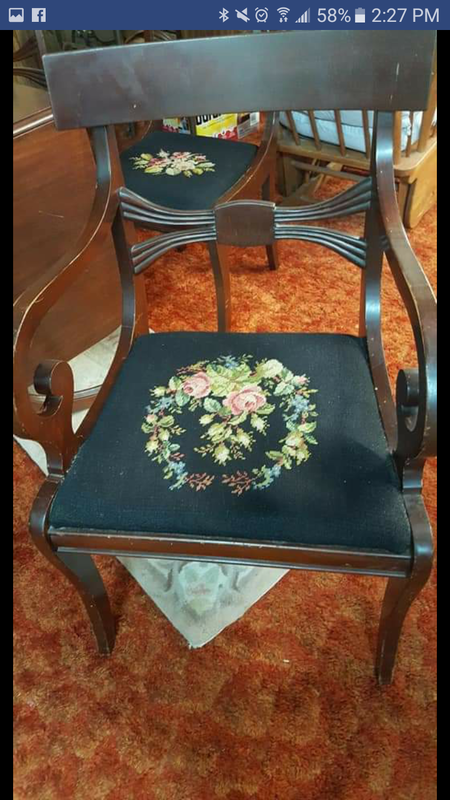 The chair seats are detailed with needlepoint. Four armless chairs plus one with arms. Length w/out leaf: 63 1/4"
Carolina Panel Co. Quality Plywood June 7 1950 Lexington N.C.
Table dimensions: Length w/out leaf: 63 1/4" Length w/leaf: 79 1/4" Depth/Width: 37 5/8" Height: 29"